If you’ve been managing your Google My Business listing, you may have noticed several changes over the past few months. Keeping up with these changes will help you stay ahead of the curve and help you make the most of your organic listing. 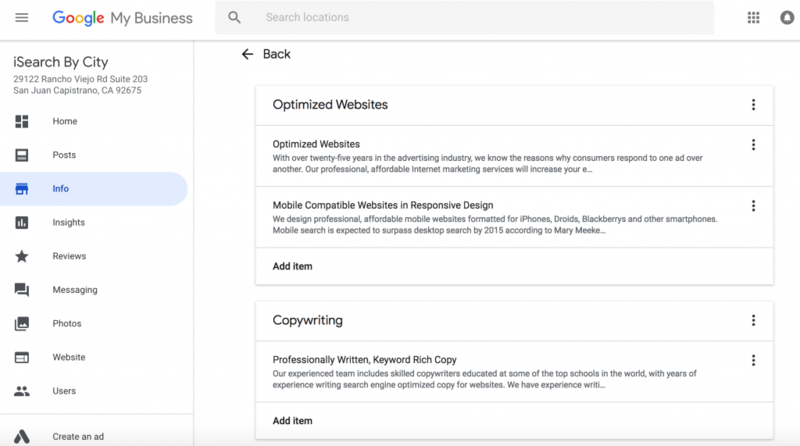 Earlier this year, Google added a Services section under the Info tab for service-based businesses. This section provides a place to add a list of services along with a detailed description for each one. Although this information does not always appear publicly on your Google My Business listing, it may appear on the mobile version of Google Maps and is a great place to add keywords to support your website’s SEO. Recently, Google My Business rolled out another change that allows service-area businesses to remove their address completely. In the past, businesses without a physical address still needed to have one on the listing, but had the option to hide it and only show a service area. Now, the address field can be left completely blank and the service areas can be listed in a separate section. 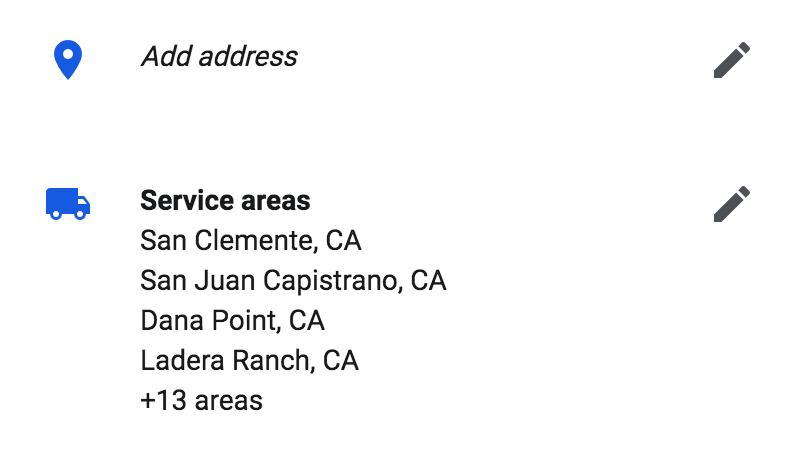 If you don’t designate any service areas for your business, Google will default to the entire country, so it’s important to make sure you have listed all the areas you would like to serve. Is updating my Google My Business listing important? According to a survey by BrightLocal, 50.77% of clicks in search engine result pages for service area businesses come from organic listings. This means that your free Google My Business listing is a great opportunity to create a professional presence for potential customers to get more information, visit your website, or click to call. 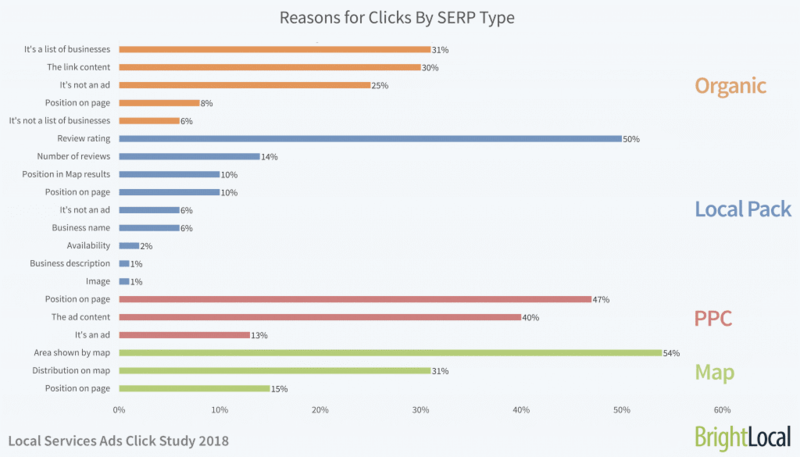 The survey also included a breakdown of reasons for clicks on each of these sections. The graph below shows that people valued organic results that aren’t ads, which is why your free listing is a great place to establish credibility. The content also matters, so make sure your listing is optimized with business information and photos. For the local pack, review rating was by far the most important factor, so collecting positive Google reviews can be a great way to establish credibility in search results and increase traffic to your website. 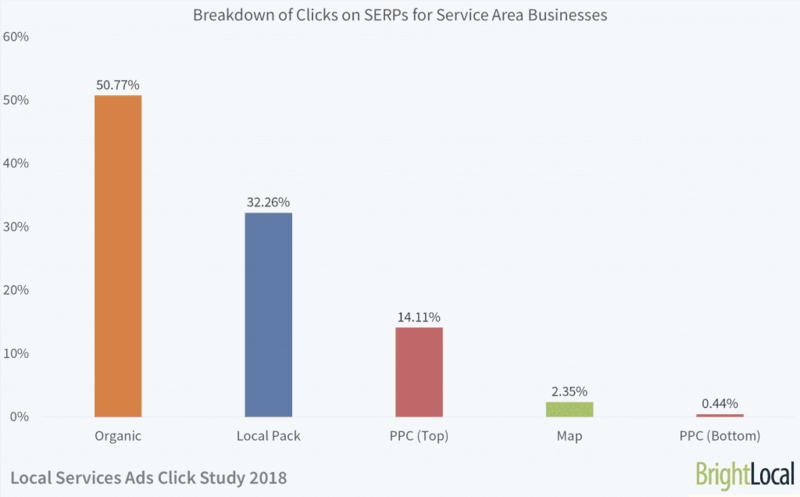 When it comes to Google’s map listings, the service area shown was the main reason people clicked on it, which shows the value of making sure your service area is accurate within Google My Business. As Google My Business continues to update and evolve, make sure to check in on your listing to see how you can take advantage of these new features. iSearch By City provides directory listings and management as part of our affordable, high quality SEO services. For a free consultation on how a responsive website, optimized listings, and PPC could help your business, give us a call at (800) 499-2064.